Preparations for the newest automotive program The Grand Tour is slowly coming to an end. Great show of Clarkson, Hammond and May, on which we are waiting will be released for a few weeks in the Amazon Prime Video. We already know that all the work on the program is nearing completion, and the team collects the latest materials. 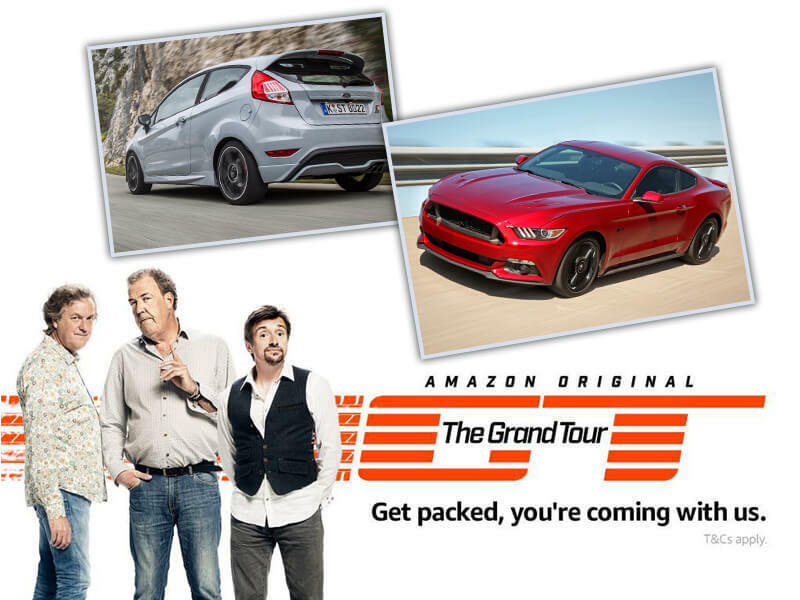 The Grand Tour is launching 18 November 2016! Despite the fact that over 90% of the recordings have already been prepared, it is still a lot of work for the team. In the last week in front of the office of the W. Chump & Sons in London stood the latest red Ford Mustang GT, which was previously used in the comparison with the latest blue hothatch Ford Focus RS. In addition in the photo, which was posted on Twitter by Jeremy Clarkson you see the latest Fiesta ST200. Being on the subject of the famous trio from Top Gear, James May, known as Captain Slow few days ago got ticket for speeding. Exactly he was detained after he drove less than a mile from the car showroom where he purchased a new motorcycle – Honda CBR600RR. I was caught this time. That stretch of road used to be 40 [miles per hour], but they recently brought it down to 30.